WNCF-TV aka ABC 32 is a Black Belt and River Region station licensed to Montgomery and owned by SagamoreHill Broadcasting. Bahakel Communications operate the station under an SSA which makes it a sister of WBMM with which it shares a duopoly and WAKA, a CBS affiliate operating in Selma market. The transmitter of the station is located in Gordonville while all three siblings share studios on Harrison Road in North Montgomery. 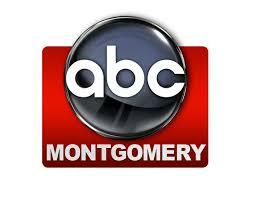 Watch WNCF: ABC 32 online streaming from Montgomery, Alabama. Alabama News Network broadcasts latest news, weather and sports updates, community events and much more. Wait as the stream loads. Launched as WCCB-TV in March 1962 by First Alabama Corporation, the channel was soon faced with the failure and went off air in Feb 1963. The silent station was then acquired by Bahakel Communications when Cy Bahakel requested for the license of Ch 32 which he would later restore as WKAB-TV in 1964 as he got the green signal from FCC; it was the fourth TV station in the city of Montgomery. From its onset and to the date, the station has maintained itself as an ABC affiliate however, it certainly faced competition augmented with duplication by ABC’s Selma based prime affiliate WSLA. The later even after the launch of Bahakel asset would throw ABC content in western sites of the Montgomery because of UHF’s limited reach in the area at that time. This didn’t stop until WSLA disaffiliated with ABC in 1968 after its complete shutdown; WSLA would return back in 1973 as a CBS affiliate. Bahakel augmented the signal strength to 1m+ watts to bring to the level of WCOV however, the service still lagged WSFA affiliated with NBC. To make purchase of WAKA@Ch8, Bahakel sold WCOV in 1985. The calls were changed to WHOA-TV under the new owner on Sep 4, 1989. Since then the station has gone through a number of ownership changes with SagamoreHill Broadcasting acquisition proving to be latest. . The current calls signs: WNCF were incorporated on July 1, 1999. Bahakel signed a shared services agreement with SagamoreHill Broadcasting in 2011 to run the operations of WNCF via WAKA. This resulted in WAKA relocating itself from its long-used facility to that of WNCF in 2012. The transmission power of WNCF was beefed up from 50 kW to 720 kW in Sep 2012.